Mission Critical Services offers Preventative Maintenance Programs designed to your specific needs. Through our Channel Partners our field engineers are certified with all the leading brands of mission critical equipment enabling them to deliver the highest level of preventative and repair servicing. Strategically located throughout the country, MCS engineers are available 7x24 to respond quickly to any needs that may arise. Single source preventative maintenance is the best, most cost effective way to insure your entire critical power system is always in top operating condition. Because of the volumes we sell and the efficiencies of distribution our Channel Partners are able to give us pricing lower than is available elsewhere. Because of this we are able to select the equipment that works best for your system and at the most competitive price available. 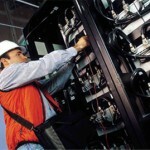 Proper maintenance of your UPS system will increase its life expectancy and reduce the possible future breakdown. A good UPS maintenance program avoids stressful critical corrective actions by utilizing proactive prevention measures. We refurbish the following brands of UPS equipment to like new condition inside and out and to original factory specs so they look and perform the same as new. All refurbished units come with a warranty and in most cases have a shorter lead time than new models. Choosing refurbished is the cost effective and green solution for UPS needs. We are not a manufacturer so we were able to create strong partnerships with leading manufacturers to ensure you have the exact UPS that is best for your power system. Utilizing our many Channel Partners we are able to offer the full range of batteries and services that are necessary to maintain the most critical link in your mission critical power system. Our service programs include testing, monitoring, maintenance, spill containment and disposal. Our close relationship with our battery Channel Partners enables us to assist you with warranty claims. As you know, batteries are the most vulnerable segment of your critical power system and can put your entire system at risk of catastrophic failure. Maintenance of this segment is crucial for increased end to end reliability. 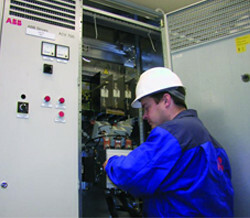 A DC Power System Service Agreement is your low cost, best result solution. 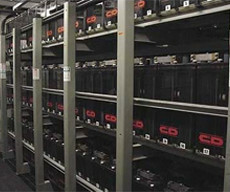 • Reduce the risk of a catastrophic event • Improve the system reliability by identifying and replacing failing batteries • Eliminate the need for emergency service calls with scheduled programs A Mission Critical Services (MCS) Sales Engineer will fit a Battery Maintenance Agreement to suit your facilities specific needs or requirements. Top certified engineers will perform a thorough analysis of your entire mission critical operation using thermography to pinpoint any hot or cold spots. We generate a comprehensive report that will include thermographic images, photos, analysis and customized recommendations to address any issues that are found. When a maintenance, repair or replacement need arises in you critical power system, you can rely on our multi million dollar stock of inventory to get the parts you need, where you need it, and when you need it. Whether you need batteries, UPS, switchgear, precision cooling or generators our wide selection of Channel Partner manufacturers allow us to spec the best replacement parts to assure critical reliability. Reliability and safety are the key metric for any critical power system and the core of a MCS maintenance program for electrical equipment. We come in to your facility and perform a full analysis of your switchgear equipment including: Safety & Reliability Evaluations Power Quality Evaluations Power Flow Evaluations After a complete analysis of these evaluations we will enact a service plan that will insure an aftermarket life extension of your equipment with recommended system modernization, necessary part replacement, and safety issues such as solutions for arc flash. We can follow up this maintenance procedure with Technical & Safety Training offerings that will allow you to attain peak reliability and safety at your facility. The close relationship between Mission Critical Services and the major OEMs makes us your top choice to test, service and maintain your electrical equipment. Certified in every major brand, our engineers are will make sure your generators are in top condition. When it is time to replace, we specify the best fit solution from a large selection of products from our multiple channel partners.